The lights are off but somebody's home. I love that...."the lights are off but somebody's home." Nice shot too! 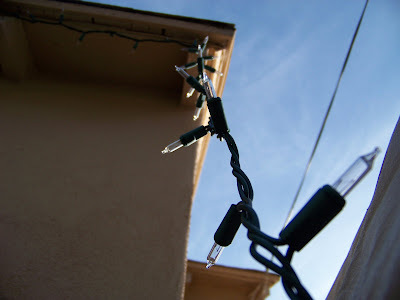 One of my neighbors still has Christmas lights up and is STILL displaying them at night. Grrrrrr! It's February, Freak!